A choral music concert launched our iconic Music Hall and Cincinnati’s arts world. 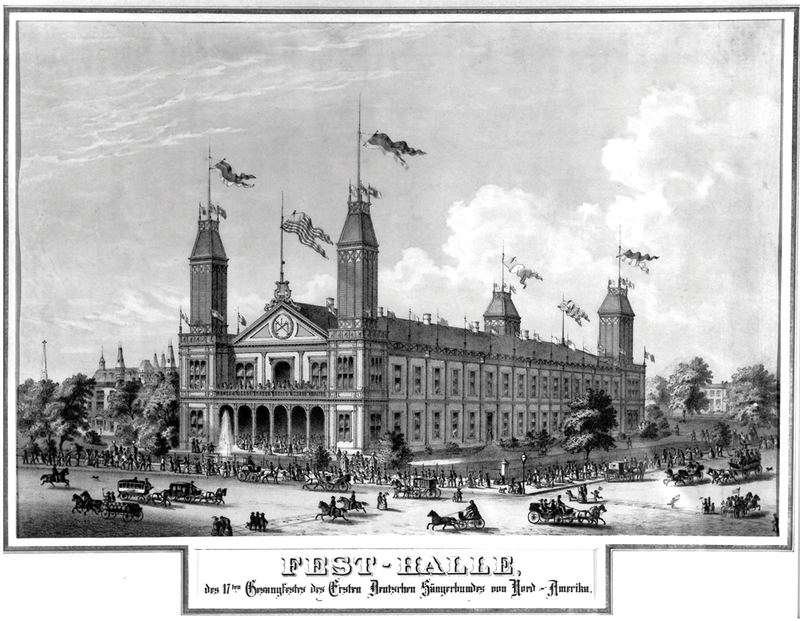 Prominent local citizens eager for a taste of old-world culture hired famed German conductor Theodore Thomas to organize a choral music festival in 1873. Wildly successful, it returned two years later to the same rickety venue, Exposition Hall in Over-the-Rhine, when a legendary thunderstorm pounded its tin roof, causing Thomas to stop the performance. 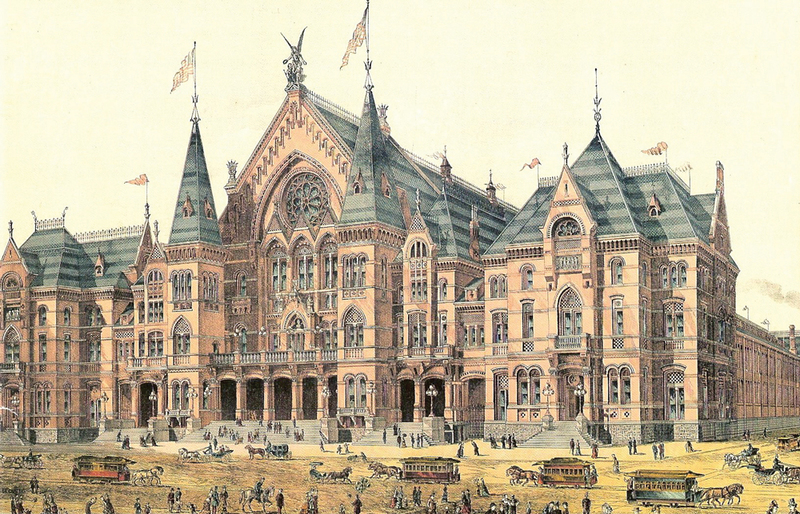 Businessman Reuben Springer supposedly decided on the spot to raise funds to build a world-class home for what would become known as the May Festival; in 1878, the fourth festival was held in brand new Cincinnati Music Hall. North and south wings were added a year later, and together the massive complex (including ballrooms) replaced Exposition Hall and nearby buildings as Cincinnati’s showplace for the arts, conventions, and sporting events. Thomas directed the Cincinnati College of Music, which was founded there and eventually merged with another school to form the College-Conservatory of Music as a division of UC. The Women’s Art Museum Association held its first gallery shows at Music Hall, before opening the Cincinnati Art Museum in Eden Park in 1886. The Cincinnati Symphony Orchestra launched in 1895 and began performing at Music Hall the following year. Cincinnati Opera moved all productions to Music Hall in 1972 after five decades of open-air shows at the Cincinnati Zoo. And Cincinnati Ballet first performed The Nutcracker at Music Hall in 1974. Patched, repaired, and redesigned numerous times over the years, Music Hall was finally overhauled two years ago, thanks to $143 million in mostly private funding, with patron amenities and building infrastructure brought up to modern standards. The May Festival, now the oldest continuous choral festival in the Western Hemisphere, will again fill Springer Auditorium next month. Thunderstorms—and FC Cincinnati matches—be damned.